Our talented sales team are dedicated to make your move an exciting and positive experience, providing you with support and guidance throughout the whole process. At John German we are focussed on negotiating the best price possible in the shortest time frame possible for you. Our service is offered on a ‘no sale no fee’ basis – with nothing to pay upfront*. The fee will be based on a percentage of the overall selling price of your home and only payable when the property has been sold. Invite John German to value your house - this is a great time to share your plans with us. 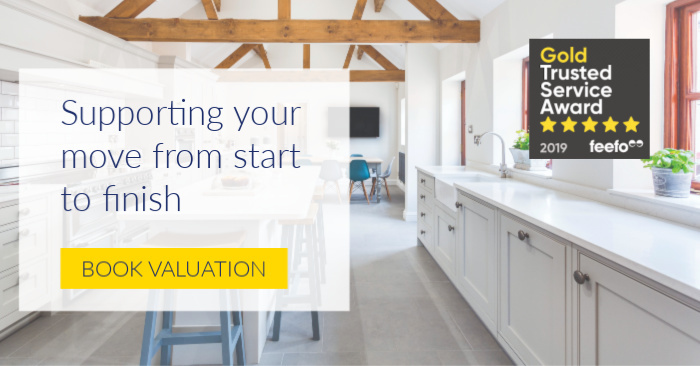 One of our expert valuers will provide you with an accurate guide price and advice on what to do next. Tailored marketing plan - once you instruct John German to sell your home, we will help make your property stand out from the crowd by using great pictures, floor plans and a high quality brochure. In addition, we'll be happy to organise home staging, professional photography, 3D tours and recommend tradespeople to you. Database of buyers waiting - to encourage early interest and to help bring about a speedy sale, we immediately get in touch with buyers, the ones we know are looking for a home just like yours. Maximising exposure - your home will be promoted on the UK's number one property website Rightmove, plus OnTheMarket.co.uk and JohnGerman.co.uk. We also showcase homes from The London Office, appealing to those relocating from London, property investors and overseas buyers. Uneasy about carrying out viewings? No problem we'll do them for you! - We arrange and carry out viewings at no extra cost and give you constructive feedback within 24 hours. Finding the right buyer & negotiating the best price - We spend a lot of time 'qualifying' buyers to make sure they are motivated and enthusiastic about moving. Our experienced negotiators are on hand to discuss each offer with you and make sure you get the best price for your property. Most importantly, if an offer has been made we check the purchaser is financially in a position to buy before taking the property off the market. Seeing your property through to completion - once you have accepted an offer, the sales progression stage is where we add the most value; you will be given guidance every step of the way. For expert advice on the value of your home and guidance on what to do next, click the button below to book a valuation via your local John German branch. *Terms and conditions apply. Get in touch for more details. "A BIG thank you to all at John German (Burton) for helping with our purchase. A special thanks to Marie who took my calls (sometimes grumpy ones!) day after day and who remained calm, professional and patient on days when i wanted to give up! Thank you all."